We’re making some big progress on a long-needed upgrade for both our email list and web site. Email Upgrade. 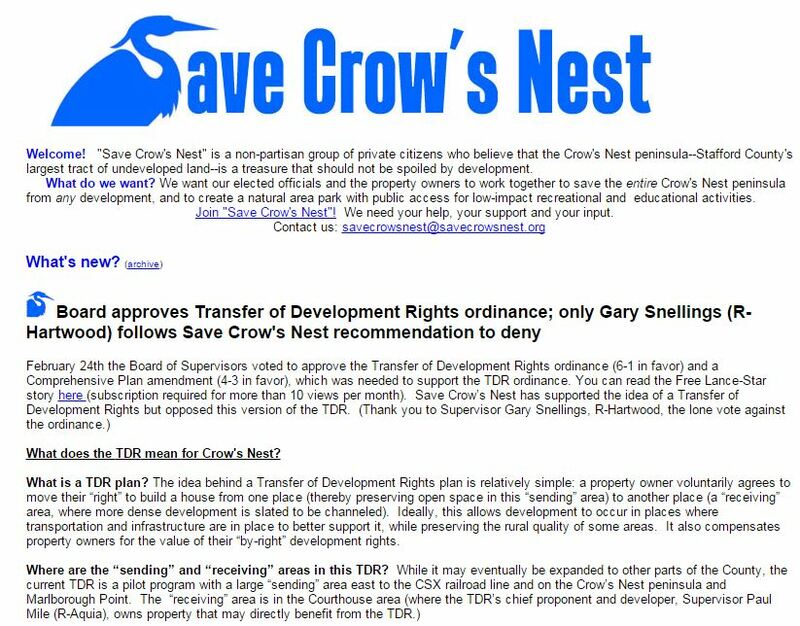 We’ve moved to a new email service so we can more easily manage our list and provide supporters with more attractive email alerts regarding Crow’s Nest and our activities. If you missed the notices about our move, forgot to sign-up, or were never on the old list, you can sign-up on now our Join Us! page. And don’t forget to encourage others you know to join us, too! Website Redesign. We’ve started to create this new website built on an entirely new platform. In the coming months, we’ll be phasing in exciting new features that our platform can now support, including a photo gallery and more information on the natural and historical resources on Crow’s Nest. Much of the deep content from the old web site has been archived and is searchable for easy access. After more than a decade of advocating for saving Crow’s Nest, that’s a lot of content! Unfortunately, many of the hyperlinks are no longer operative, so we’re working diligently on cleaning those up. We’re excited about the new possibilities here and look forward to your feedback and ideas for new features. Let us know what you think! The front page of the old Save Crow’s Nest site. We’ve kept the logo, but everything else is new.